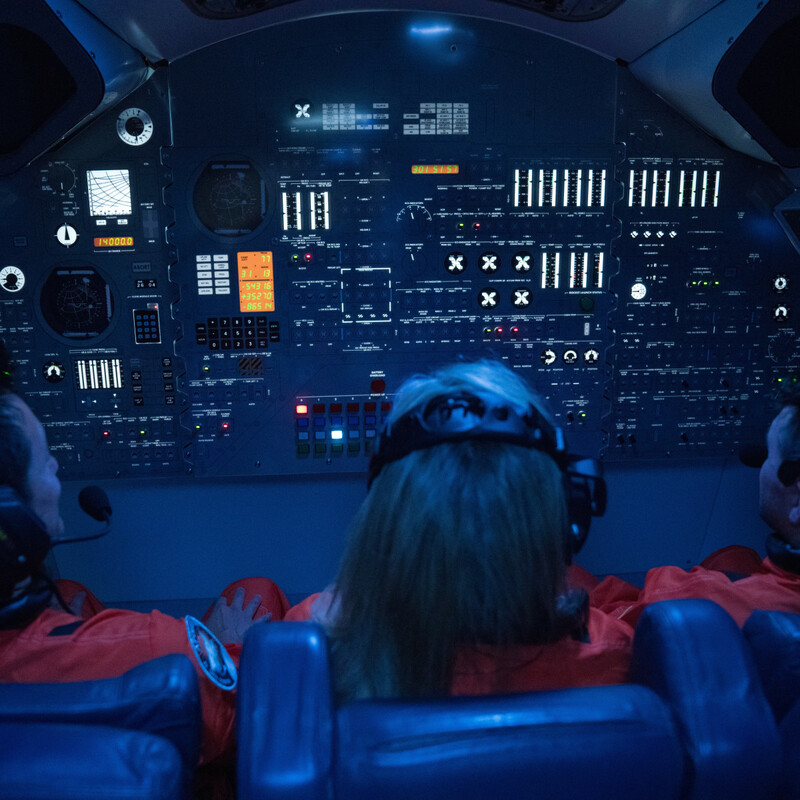 Nine people in Mission Control, three astronauts stranded in space, and 60 minutes to bring them home safely work as a team, decipher codes, and beat the clock. 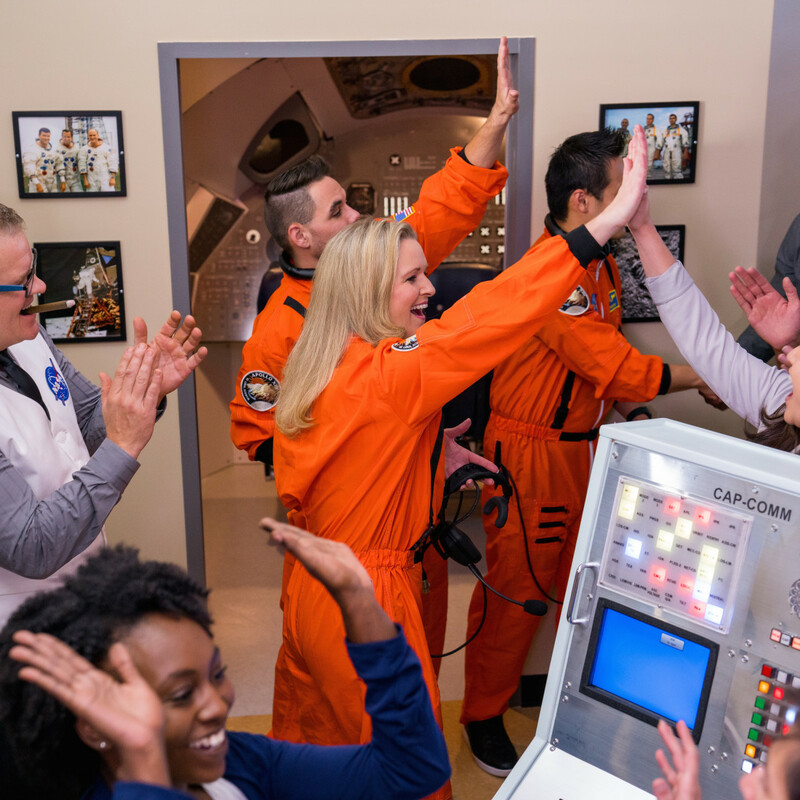 That is the task Escape Hunt's new Apollo 13-themed room, Houston We've Had A Problem, challenges guests to complete. Escape rooms have become the new "it" activity in recent years, increasing in popularity worldwide. 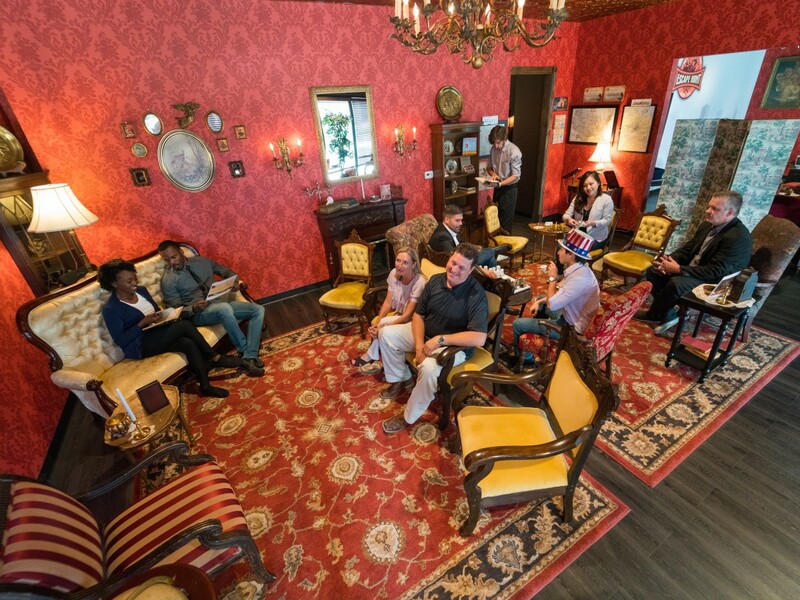 Scores of the immersive experiences that challenge groups to solve dilemmas to get out of a room in a limited amount of time are popping up all around town. James Barcz, owner of Escape Hunt in Houston, is helping our city fuel its new obsession. 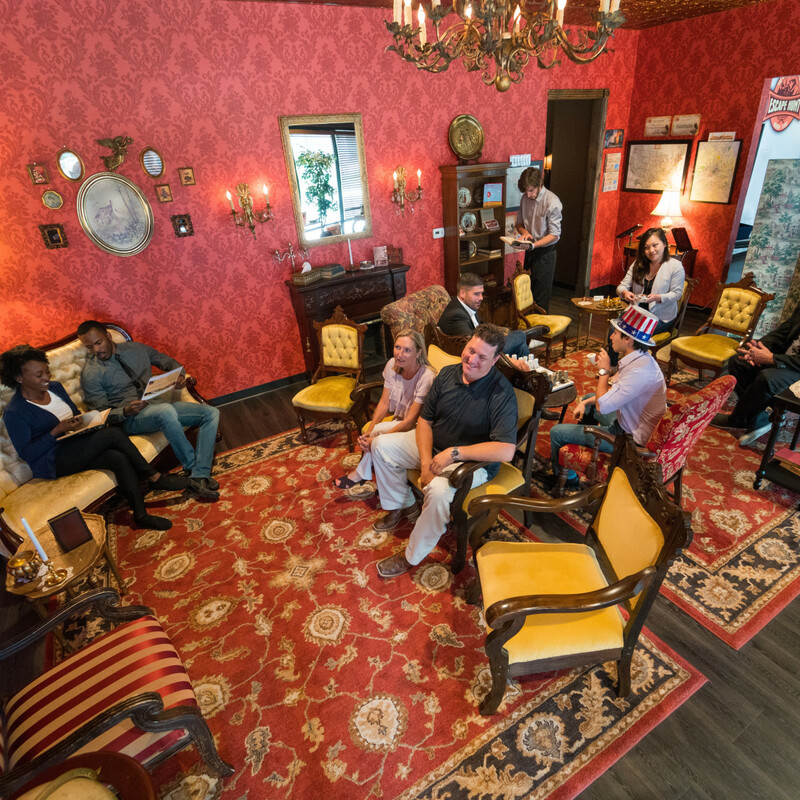 The Houston branch of Escape Hunt, which bills itself as "the world's leading live escape the room & exit game indoor entertainment experience," offers three different options to choose from. 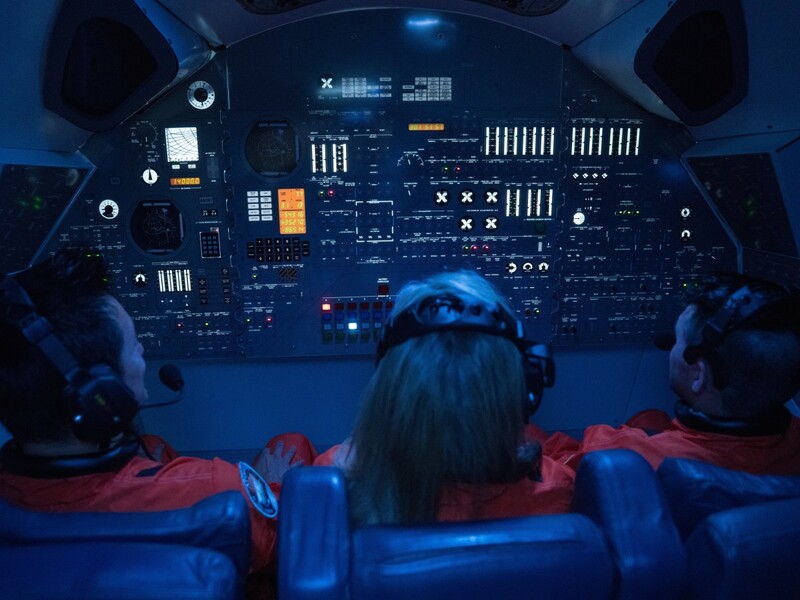 They include a rescue of the "original" Texas Lone Star, a murder in a London mansion, and the new space-themed experience based on the famed Apollo 13 manned space mission that had to be aborted after an oxygen tank exploded six days after the launch. The adventure begins immediately once inside an unassuming building hidden on a corner in Midtown. Workers dressed in Sherlock Holmes-esque detective gear greet guests and direct them towards their respective games. The deceptively large building has nine rooms, eight of which hold functioning games. Each room offers one of the three different microcosms to venture into. In particular, the new Apollo 13 game transports guests to another time. The decor of the room eerily recreates NASA from the 1970s, including small elements like faux half-smoked cigarettes and rotary dial phones. Taking into consideration the detail of the room, it is no surprise that Escape Hunt took almost a full year to plan and build the new game to ensure its authenticity. The Apollo 13 room has a maximum of 12 people. 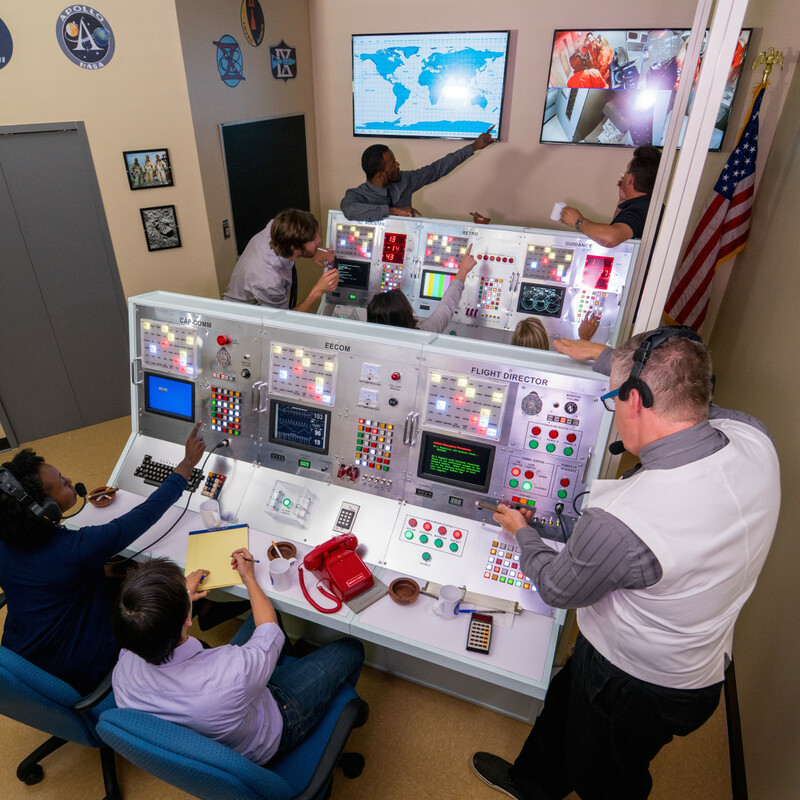 Nine work as staff in Mission Control, and three become prospective space travelers. 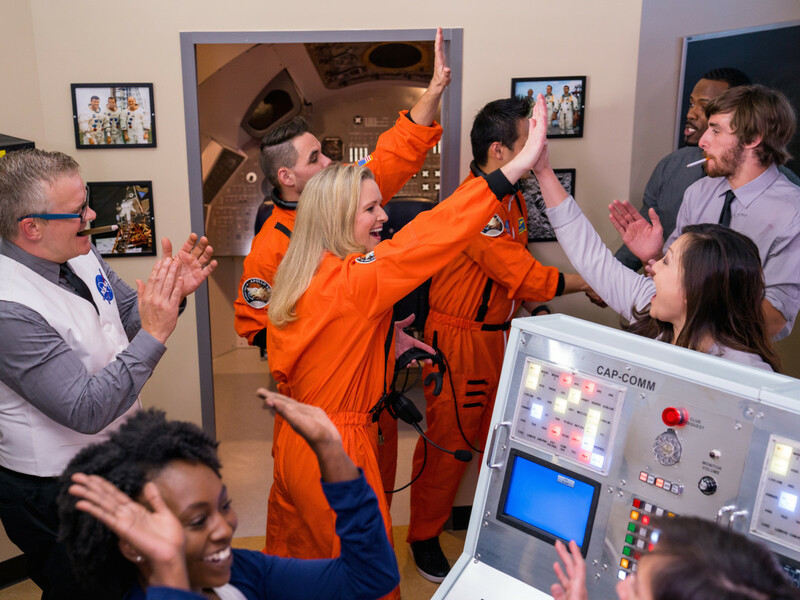 After the group solves their first task of powering up the main grid, the astronauts in their bright orange “EVA space suits” begin their journey into “space,” which may or may not be an adjacent room. Fair warning: Escape Hunt does not fall short on its promise of authenticity. The game attempts to hold the astronauts to the same standard as those in NASA, relatively speaking. Come prepared to crawl through smoke, work in binary, and problem solve under pressure. The room in particular cultivates teamwork. 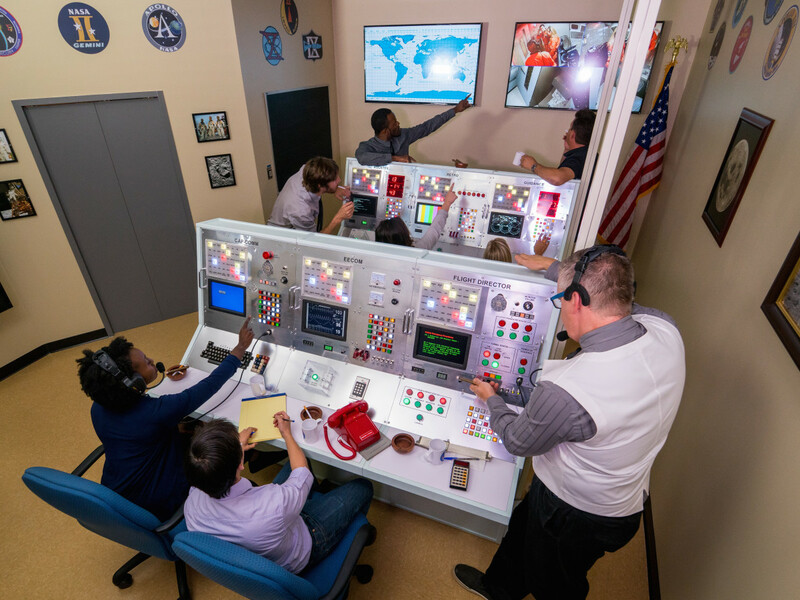 With only one person in Mission Control communicating with the three astronauts "in space," staying calm and working together is a must. Although my group did not complete the mission, we were assured that even the NASA pros needed a few extra minutes to escape this one. 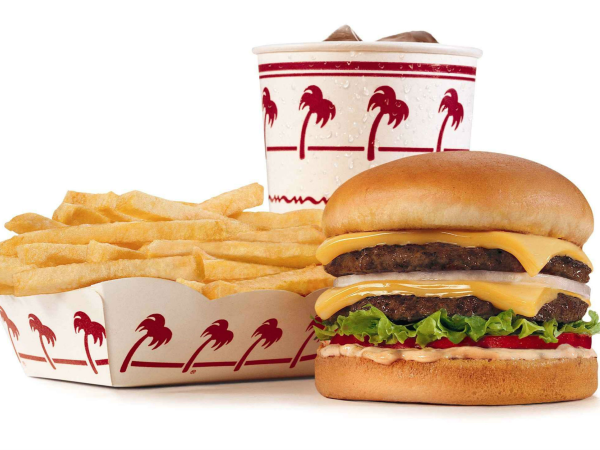 Houston We've Had a Problem costs $38 per person; Theft of Texas Lone Star and Murder in Marylebone are $30. Reserve games online. 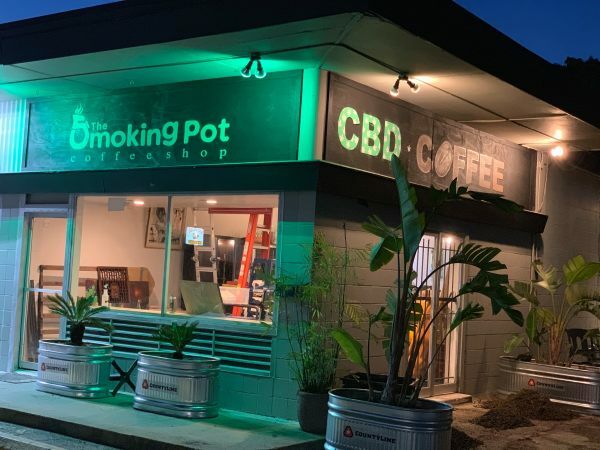 Hours of operation: Monday – Thursday 3 - 10 pm; Friday 3 pm - midnight; Saturday noon - midnight; Sunday 1 - 7 pm. Location: 125 West Gray Street, Suite 100.